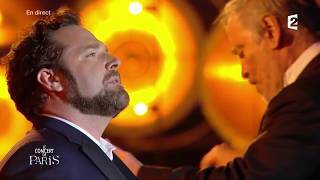 Bryan Hymel is heard in the first cast of the Metropolitan Opera’s 2014-15 season revival of La Bohème. The American tenor makes his house role debut as Puccini’s bohemian poet in Zeffirelli’s classic production on September 23, one day following the company’s opening night. Riccardo Frizza conducts the performance that also stars Ekaterina Scherbachenko as Mimì, Myrtò Papatanasiu as Musetta, and Quinn Kelsey as Marcello. Click here for ticket information.